How to upload files in SilverStripe? How to create a backup of SilverStripe? How manage the security in SilverStripe CMS? How to manage the comments on your pages in SilverStripe? How to add a blog in SilverStripe? How to install module on SilverStripe? How to install extra themes in SilverStripe? How to modify the meta tags in SilverStripe? How to change the tagline/slogan and the site name in SilverStripe? How to create a new page in SilverStripe? The above will be valid if you have installed SilverStripe under the www root folder of your hosting account. If you have installed it under a subfolder add the subfolder name before the index.php in the above line. Then, select all the files you will be uploaded. 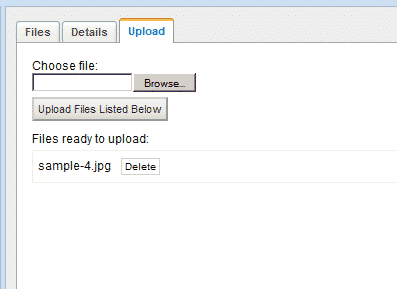 You may delete the incorrect files if there were such selected from the “Files ready to upload:” list. When all the files are selected click “Upload Files Listed Below” and the upload should be completed within a few minutes depending on the size of the files. Silverstripe is not right for you? How to install Concrete5 manually? How to create a backup of my Concrete5 website? How to manage the basic security settings in Concrete5? How to enable the “Pretty URLs” in Concrete5? How to install themes in Concrete5? How to install addons in Concrete5? How to change the site name and enable full caching in Concrete5? How to create pages in Concrete5? How to install Concrete5 automatically?